We didn’t wait for Skype to create a iPad version, we have been running the iPhone version in 2X from the day the iPad2 showed up. Actually, we have been using the audio and text messaging on the original iPad prior to the addition of the camera. With multitasking, the text messaging keeps coming in even on WiFi only iPads. 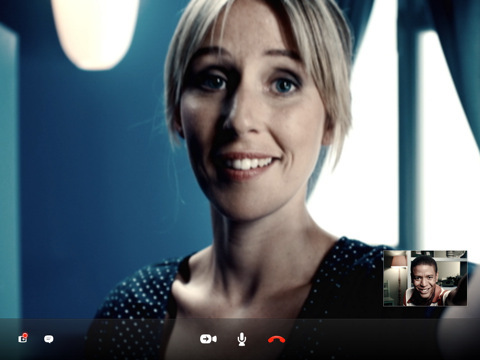 Happily, there is now an actual iPad version of Skype (Free, not Universal). 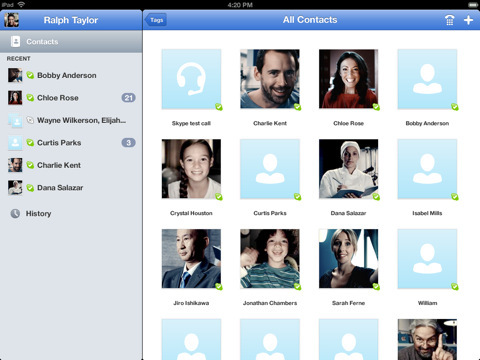 Not only is the video full screen and clear, the contacts area is designed specifically for the iPad.